This was the cabin by which more than 35 ago our holding commenced its business activity. 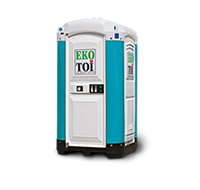 With the advent of this toilet cabin, a new beginning has been made in the industry. DIXI is a tested and proven over time cabin. Practical, comfortable and functional – by using it your unit will have a contemporary appearance. It is made of UV-resistant plastic.